The number one N1 street food market formerly known as eat.st had a bit of a rebrand this week. We feared eat.st might be on the way out as Google Chrome seemed to think its website had been the victim of a malware attack, but instead, rising like a phoenix from the ashes of that weird hinterland between King's Cross and St Pancras, Kerb Food has been born. The eat.st founders just went their separate ways, it seems, and from the looks of things Kerb will have many of the same vendors as its predecessor. 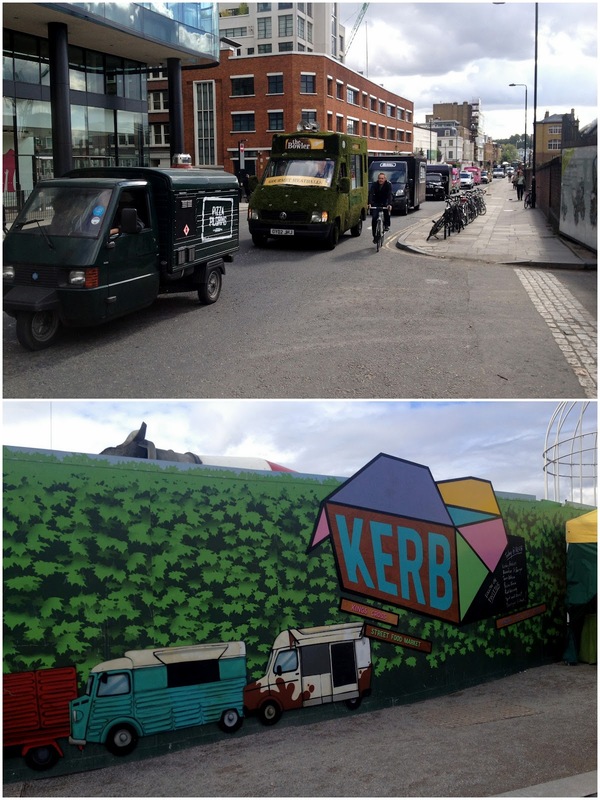 Kerb launched yesterday with a remarkably unremarkable "van parade," and it was business as usual again today, albeit with a particularly good selection of traders. I was pleased to see that Bleecker St Burger was there: my love of burgers is well documented and Bleecker Street is one of my favourites in Manhattan. I was even more pleased when I found out that sweet potato fries--a big weakness of mine--were on the menu. My previous eat.st burger encounters have been limited to Mother Flipper, who do a great caramelised-bacon-cheese-double-burger, but who don't serve chips and who are too hip to be very efficient. Bleecker St Burger are a much slicker operation. You can get a cheeseburger for £4.50 (cheaper than Mother Flipper) or upgrade to a double for £7.90 (not as good value as MF's Double Candy). Fries are £2.50 and sweet potato fries are just 50p more for a bag big enough to share. The burgers are, as their sign notes, served medium rare as standard. I misread this as "medium" and asked for mine medium rare; nonetheless, it came pretty medium. It was still a great burger--juicy and flavoursome--and complemented perfectly by the sweet potato fries. Given that I didn't drip mayo/cheese/burger juice down my jacket, I would say that BSB's burgers are slightly less juicy than MF's, but there's not much in it, and the fries options and efficiency of the former edge them into the lead in the best Kerb Food burger contest. 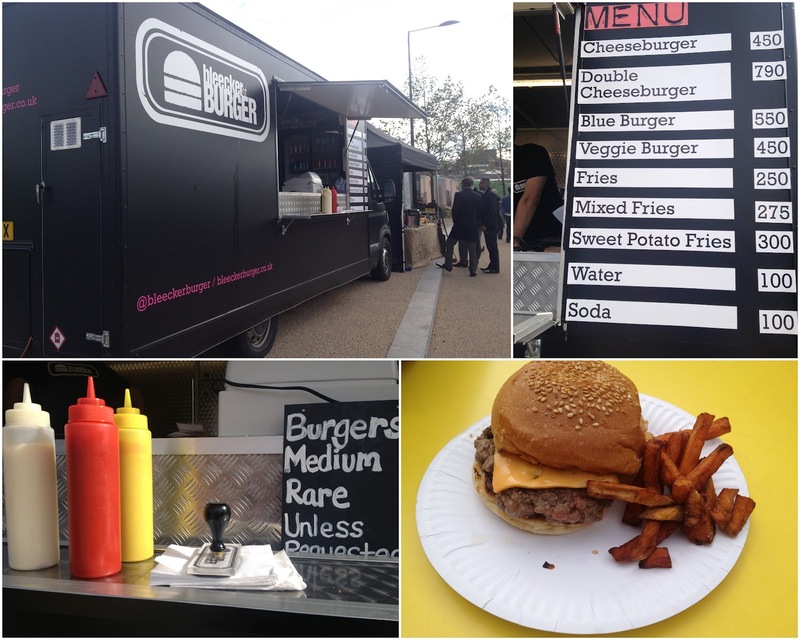 Bleecker St Burger @ Kerb Food (Tube: King's Cross) and elsewhere; check their website or Twitter feed.